I have noticed I have had several people search about salt ash. This is a white powder thing that appears on cold process soap. The main cause is exposure to air during the curing time. This mostly happens the first few days. This summer I discovered a really good solution. Over the last two years I end up mostly making hot process. It has a faster turn around. 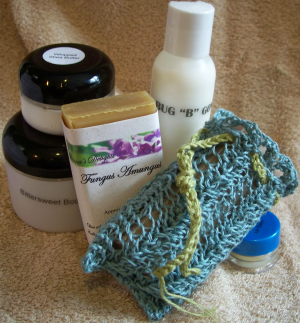 I do have some soaps that need to be made cold. A friend of mine wanted to give gifts for her sons wedding rehearsal. 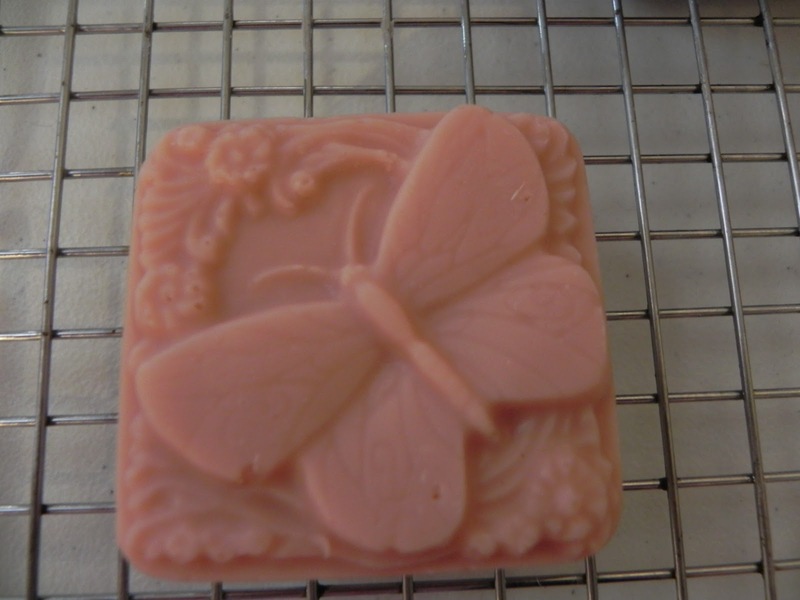 We decided on a soap using a mold with a butterfly design. This meant I could not make it hot. Too hard to make it without air bubbles. The first batch came out great but then the dreaded ash started I was getting nervous. 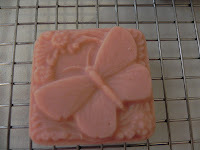 I know you can gently wash the soap to get it off but I didn't want to mess up the design. I was thinking about what to do. I decided since air was the problem that maybe if I covered the bars with the towels I had used to keep them warm after pouring that it would help. Well, how happy was I to find that it worked. I did that to all of my soaps after that and didn't have any more problems. Now just to clarify any doubt. I used regular bath towels. Even though you are trying to cut down on oxygen it still needs to breath and dry. I still stacked my sheets of cardboard with the soap on it. I just put a towel over the whole thing. Being me I still ended up washing them just to smooth out the trimming on the bottom. I didn't want them to look like I trimmed. This is the pink version. 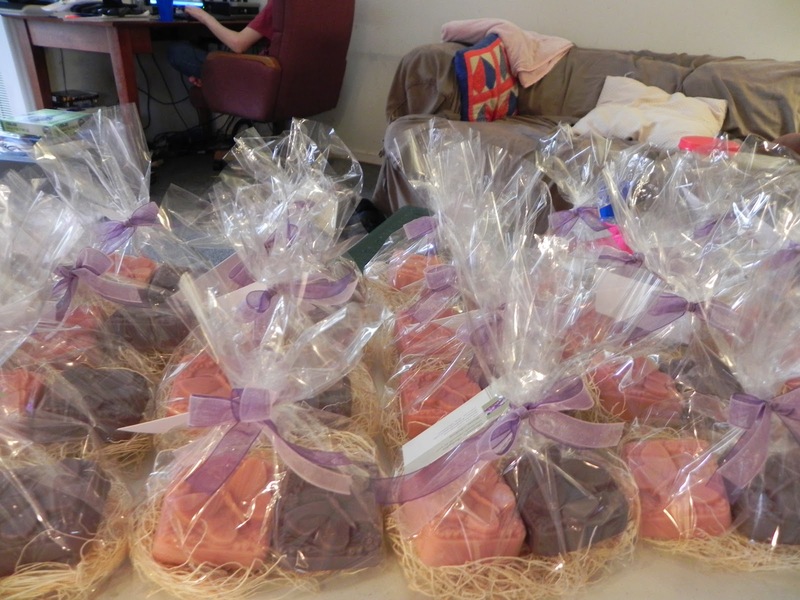 I used pink kaolin Clay to get the pink color. It's Lavender Mint. How can you go wrong. All wrapped up. The other bars are a purple version. I strained oil infused with alkanet root powder and added that to my oils. To get more of a lavender color I added pink kaolin clay. Worked out perfect. Nature strikes again. I hope this helps you out. Ash can be so frustrating. If this doesn't work for you. I am not sure what else to do. Good Luck!